White Diamond Details: 1027 Round brilliant cut white diamonds, F color, VS2 clarity and excellent cut and brilliance weighing 15.83 carats total. Yellow Diamond Details: 1009 Round cut yellow diamonds, weighing 16.26 carats total. 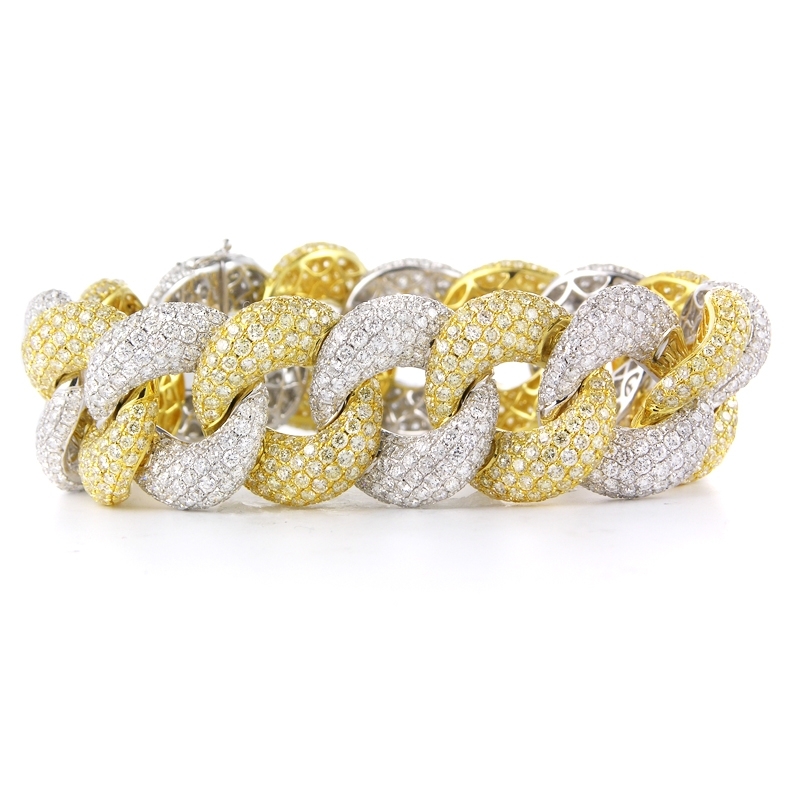 Bracelet details: 18k white and yellow gold link style. 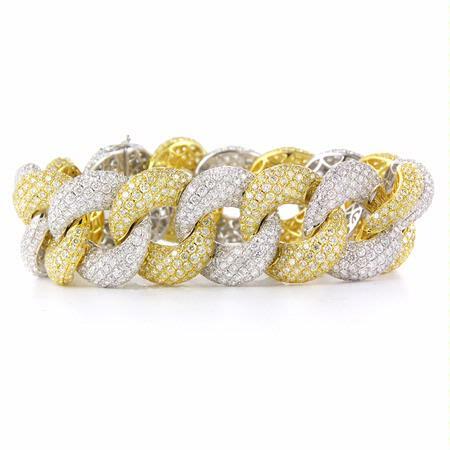 This Luxurious 18k white and yellow gold link bracelet, designed in Italy, features 1027 round brilliant cut white diamonds, F color, VS2 clarity and excellent cut and brilliance weighing 15.83 carats total and 1009 round cut yellow diamonds, weighing 16.26 carats total.